After you insert your key into the ignition to fire up the engine, hearing that dreadful sound of sputtering or nothing at all really puts a kink in your plans. However, dealing with this irksome misfortune does not need to take up too much of your time when you head on over to Universal Nissan and see our qualified group of car battery pros. 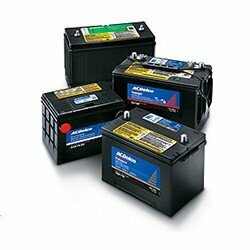 If the battery in your Nissan is not holding a charge and you want to request testing, or it has been completely drained of power and needs replacing, Universal Nissan has the ideal solution for these situations and any other issues you might encounter. What makes us a better choice over the competition? You will not only receive individualized assistance from our respectful and well-informed service staff in Wilkes-Barre, but also gain the benefits of saving your hard-earned dollars through our budget-friendly battery testing, repair, and replacement costs. In a nutshell, if you are looking to spend much less on the same level of high-quality service you would expect at those overpriced shops, give our reliable service center a call at (407) 926-7003 once the battery begins wearing down or stops working altogether.